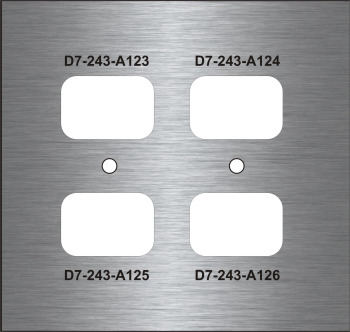 Next Day Stamps laser engraves stainless steel wall plates because they form a crisp, clear, dark impression that is easily read. 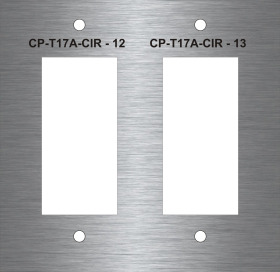 These stainless steel plates are used where sanitary conditions are required by building code, ie. hospitals, restrooms, restaurants and other required interior or exterior locations. They are extremely durable. 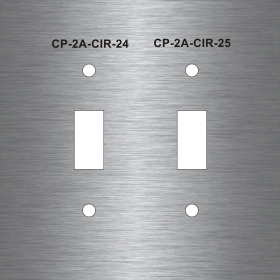 Design your Stainless Steel outlet plates from the comfort of your office now! See it while your create​ it and know that we will laser engrave it just how you created it. When you like your plate design add it to the shopping cart. You can even create multiple plates at one time, just remember to add every completed design to your shopping cart before starting the next. Once you completed your designed plates, go to shopping cart for review and submit your order.